This fair isle knit hat pattern is an excellent project for anyone who is looking to work with more than one colour in their knitting. I wanted to share with you a colourful hat, as I normally knit hats in one or two colours. This hat also known as The Katara has been made using four colours – grey, light grey, mustard and pink. Fair Isle knitting, which also known more accurately as stranded knitting, is a technique for working two (or more) colours of yarn in the same row. The colour changes in Fair Isle are close together, as this allows you to simply carry the yarn you aren’t knitting with across the back of the piece as you go. You will pick up each strand as you need it and this leaves a strand of yarn on the inside of the work. Fair Isle knitting is pretty easy to do and in this case, makes a nice warm knitted hat because all those strands of yarn add extra bulk and warmth. 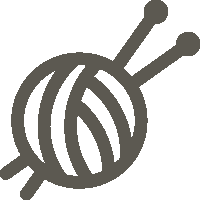 Stranded knitting is often worked in the round, and it’s even easier to do that way than flat. 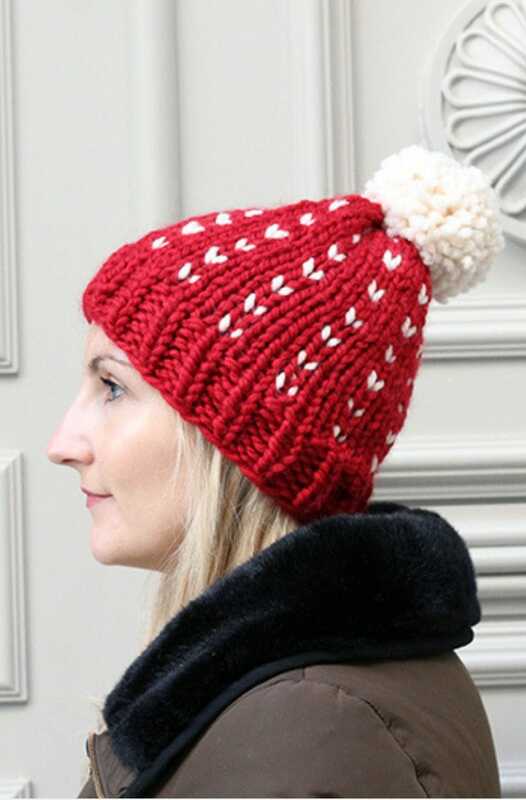 The hat pattern is easy to make, for knitters who are looking to get into a project that is a bit more intermediate. 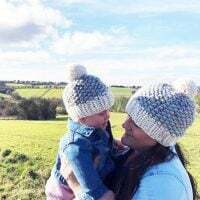 Using knit and purl stitches, you will create ribbing for the brim, then use four coloured yarns to create the pattern for the main body of the hat. 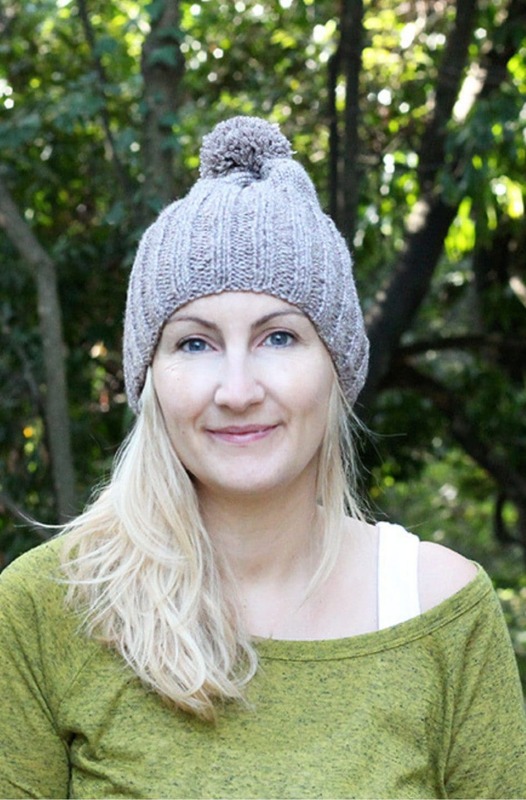 This knitted hat has four colours, so if you have never knit with more than one colour, it will also introduce you to this technique. 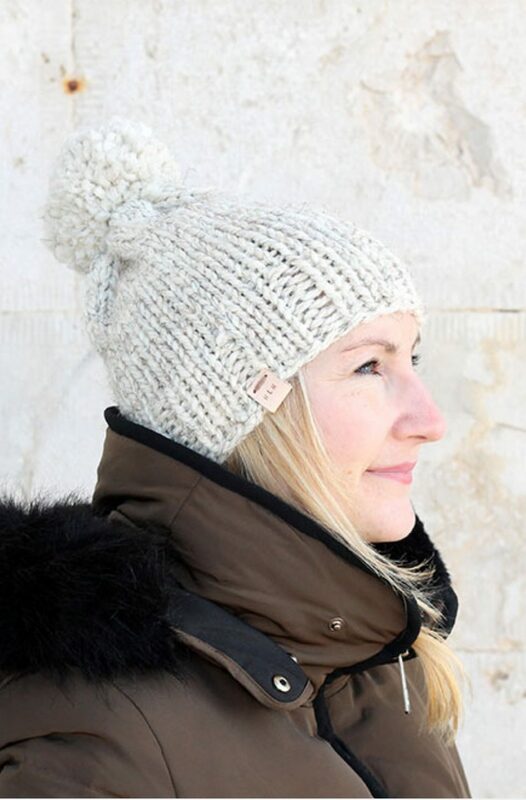 The hat uses basic knitting stitches – knit and purl, to create 1×1 ribbing for the brim of the hat. 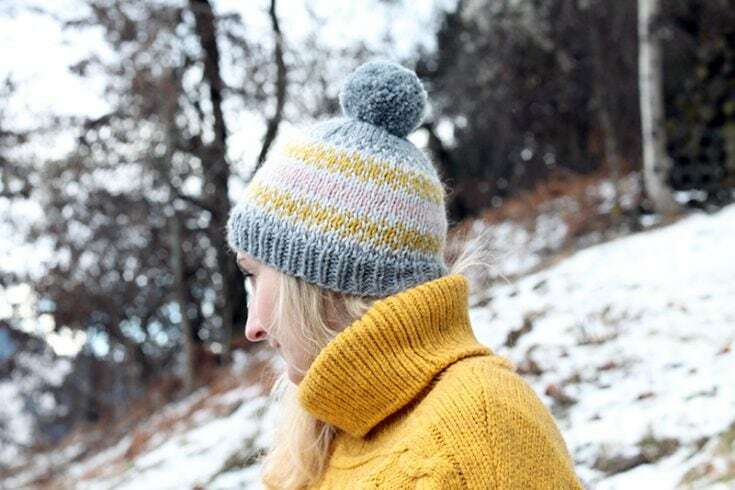 This fair isle hat is perfect for the cold weather, to meet friends for a hot chocolate, wearing for walks, and any other time throughout winter! Wherever you want to wear this hat, it will be sure to keep you warm and toasty, protecting you from the cold winds and icy temperatures. Make this fair isle hat with the easy to print out pattern below, then come back and let me know what you think in the comments or leave a review! With Yarn A and US 9/5.5 mm 16" circular needles, CO 72 sts. Work in k1, p1 rib for 2 inches. Change to US10/6.0 mm 16" circular needles. Round 1: *k1 with Yarn A, k1 with Yarn B. Repeat from * end of round. Round 2: *k1 Yarn B, k1 Yarn A. Repeat from * to end of round. Round 3: knit round with Yarn B. Round 4: *k1 Yarn B, k1 Yarn C. Repeat from * end of round. Round 5: *k1 Yarn C, k1 Yarn A. Repeat from * to end of round. Round 6: knit round with Yarn C.
Round 7: *k1 Yarn C, k1 Yarn B. Repeat from * to end of round. Round 8: *k1 Yarn B, k1 Yarn C. Repeat from * to end of round. Round 9: knit round with Yarn B. Round 10: *k1 Yarn B, k1 Yarn D. Repeat from * to end of round. Round 11: *k1 Yarn D, k1 Yarn B. Repeat from * to end of round. Round 12: knit round with Yarn D.
Round 13: *k1 Yarn D, k1 Yarn B. Repeat from * to end of round. Round 14: *k1 Yarn B, k1 Yarn D. Repeat from * to end of round. Round 15: knit round with Yarn B. Round 16: *k1 Yarn B, k1 Yarn C. Repeat from * to end of round. Round 17: *k1 Yarn C, k1 Yarn B. Repeat from * to end of round. Round 18: knit round with Yarn C.
Round 19: *k1 Yarn C, k1 Yarn B. Repeat from * to end of round. Round 20: *k1 Yarn B, k1 Yarn C. Repeat from * to end of round. Round 21: knit round with Yarn B. Round 22: *k1 Yarn B, k1 Yarn A. Repeat from * to end of round. Round 23: *k1 Yarn A, k1 Yarn B. Repeat from * to end of round. Round 1: *k7, k2tog. Repeat from * to end of round. Round 3: *k6, k2tog. Repeat from * to end of round. Round 5: *k5, k2tog. Repeat from * to end of round. Round 7: *k4, k2tog. Repeat from * to end of round. Round 9: *k3, k2tog. Repeat from * to end of round. Round 11: *k2, k2tog. Repeat from * to end of round. Round 13: *k1, k2tog. Repeat from * to end of round. Cut yarn, weave the tail end through remaining 16 sts and draw up to close the top of the hat. Weave in ends and add a pom if you wish to the top of the hat. Gauge = 10 sts in 10 rounds in 2 inches. Width - 8 inches (laying flat and not stretched).